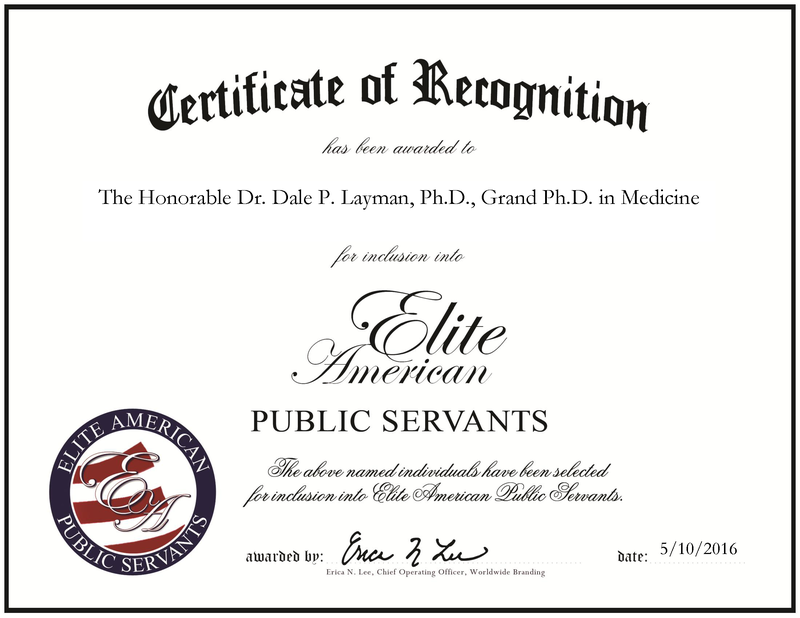 Joliet, IL, May 2, 2016, Dale Layman, Author, Speaker, Visionary Thinker in The Sciences at Robowatch, LLC, has been recognized by Elite American Public Servants, for dedication, achievement and leadership in human rights advocacy. With more than two decades of dedicated service, Dr. Layman explores and raises awareness about robotics, and technologies negative impacts on society. His duties include maintaining a blog and reporting on the developments in robotics and artificial intelligence. Since the 1990s, Dr. Layman has voice concern over the rise of invasive technologies, which pose a threat to organic life. It is with this concern that he founded Robowatch. In 1971, Dr. Layman graduated from the University of Michigan with a Bachelor of Science with Distinction in anthropology and zoology. He continued to earn a Master of Science in physiology from the university’s medical school. Afterwards, he received a Ph.D. from the European Academy of Information and World Information Distributed University in Belgium, a Ph.D. in health and safety studies from the University of Illinois and, a Grand Ph.D. in medicine from WIDU. In addition, he holds an educational specialist certification in physiology and health science from Ball State University. 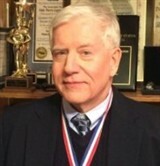 In 2003, Dr. Layman was invited to write the foreword to Stan Gibilisco’s book, “Concise Encyclopedia of Robotics.” It was here that he coined the phrase ‘compu-think.’ It was in 1999, while reading scientific articles, which Dr. Layman first learned about the potential dangers of robotics and artificial intelligence. Robowatch serves as a human rights advocacy group and complements Dr. Layman’s involvement with the Human Rights Watch and the Chicago Council of Global Affairs. This entry was posted in Community, human rights advocacy, Public Safety and tagged advocacy, anthropology, awareness, human rights, technology. Bookmark the permalink.